"A Vacation Home Management company that are Small enough to care, but big enough to make a difference." As an Orlando Property Management Company specializing in the Reunion, Davenport, Kissimmee, Champions Gate and Disney Areas we offer a number of services to ensure your investment stays in the best possible condition. Do you know we GPS track our maintenance team and inspectors and real time digital inspections are recorded with photos. We do this to ensure the best possible service and transparency in our operations. This is what we would want as a proeprty owner not there to see what is happening while we are not there. 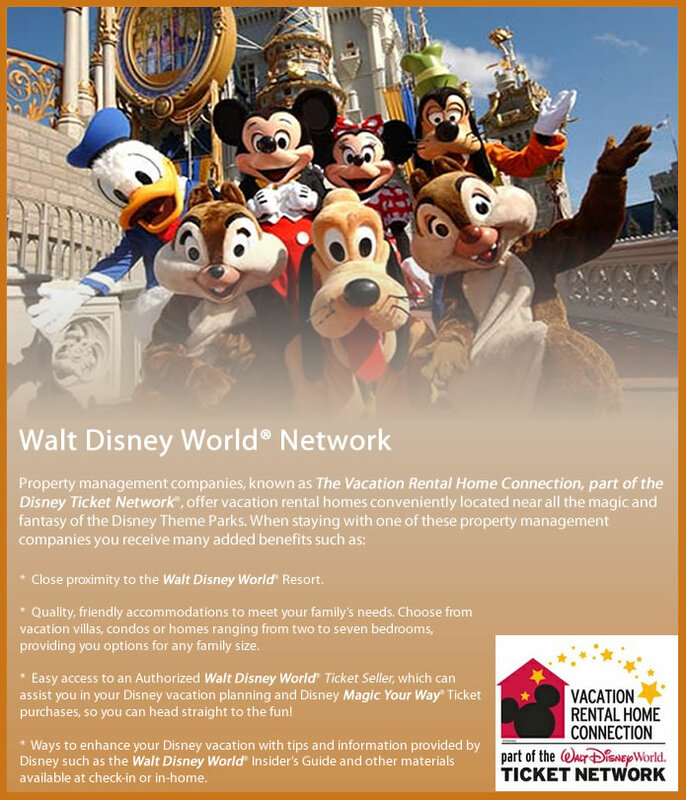 Easy Choice are proud to be a Walt Disney World Vacation Home Network Property Management company. This highlights our dedication to the best possible service and standards in our homes. You can take comfort in knowing that Easy Choice are the most competitively priced Orlando Property Management company in the Disney Area. Your business, your home and your guests are of the upmost importance to us. We appreciate the importance of choosing the right vacation home management company to take care of your investment. Please feel free to read through the detailed information we have complied to make an informed decision when choosing your management company. The Easy Choice Team understands the importance of communication and trust. As your dedicated Florida Property Management Company in the Orlando, Davenport, Clermont and Disney area, we are aware of your needs and will remain focused on meeting your requirements and exceeding your expectations. Easy Choice Property Management offer a comprehensive Management Service for your home and are meticulous in ensuring they are carried out to the highest possible standards. Here at Easy Choice Property Management our objective is to help you turn your hard earned investment into a fantastic property that people will be delighted to stay at time and time again. Easy Choice Property Management is here to put your home and its community on the map as a wonderful place to stay, and ultimately create more desire for people to stay in it all year round. Our Property Management Team currently have openings for homes in Reunion, Champions Gate, Davenport and Kissimmee. So contact us now for more information about Orlando Vacation Homes and Orlando Vacation Rentals. We take great pride in our homes and our service and you will not be disappointed. Solicitar información en español o portugués. Solicite informações em espanhol ou em português. An important service we offer as a Vacation Home management company, is help in the process of finding holiday rentals for your vacation home. This is a key part of our business and we commit to helping you to get the best return from your Orlando vacation home. We have proven results and we guarantee to give your property maximum exposure. We advertise our vacation rentals on the world's largest websites and constantly research the market, the competition and niche marketing opportunities. We market to travelers from all over the world, including; North America, South America, UK, Europe, Scandanavia and the Far East. We utilizie the latest technology and websites to ensure that we respond to our guests within 15 minutes of receiving an inquiry, any time of the day or night. Guests can book online, over the phone, via our social network pages and in our state of the art welcome center. We pride our selves on having a great repeat business model with many guests coming to stay with us year after year. A helpful and unique feature from our website enables owners to be informed in Real-Time of any bookings your home receives. Our state of the art system enables you to be kept up-to-date on all bookings going into your home by receiving an e-mail with the dates and the value of the booking as soon as the booking has been confirmed. This is an extremely important part of our Property Management service. With you having encouraged your clients to book your Florida Vacation Home and then given them a taste of what to expect. They are without doubt looking forward to enjoying the ambience of it all. It is essential for a Property Management Company to carry through those expectations in order to ensure your success with your client, and potential future business. We have a team of Quality Control inspectors who monitor standards, inspect departures and arrivals, check inventory and prepare each home for an arrival as if it was a VIP arriving for each and every guest. It is our goal to provide services and standards of cleaning that are second to none. Our maids have been fully trained and are very conscious of the high standards of cleanliness we expect from them when cleaning the vacation homes. In addition our state of the art system tracks all cleans and inspections in real time by using our phone in tracker, created by our IT team. Our office team can tell you when the clean started, whether it is in progress, what time it was completed and when and by whom it was inspected by. In each of the homes with swimming pools, the swimming pool is cleaned on a weekly basis by pool cleaning technicians who have been fully trained and are certified by the State of Florida . Every week the chemical levels are checked and if necessary fresh chemicals are added to maintain the correct balance. An analysis of this is recorded on an individual report card for each pool, along with the work that has been carried out on the pool that week i.e. pool sides, pool bottom vacuumed, and can be inspected at anytime by the homeowner. If you own a home with a shared pool and you have any concerns about the pool area we will happily inspect it for you free of charge and if necessary give you a report of our findings to pass onto the organisation looking after your community. This is $25.00 per month and offers round the clock protection against insects. We cannot guarantee to keep every single creature out. However, if you do have problems then we guarantee to get someone out to spray the house within 24 hours. Your lawn is normally the first thing your guests see when arriving at your home so we know it is very important to make the right first impression. In each holiday home the grass is cut on a weekly basis and edges are trimmed with all debris being removed. We also keep an eye on any plants and bushes in the garden, which are trimmed if required. For an additional fee of $15 per month we offer a full weed and feed service, something we strongly recommend. The soil (sand) has very few nutrients in it and combined with heavy rains doesn't give much opportunity for the grass to be healthy. A lawn without regular treatment will become patchy, allowing weeds to grow and will start turning yellow. A well treated lawn will definitely enhance the overall look of your Florida property. It is inevitable that your home will require occasional maintenance. We do not charge for changing light bulbs or minor things that can be done by us. Any work that requires calling out a specialist will not be undertaken before receiving your consent. We will always get a quotation and ensure it is as completive as possible. Obviously any major emergencies that require immediate attention to protect your home from damage will be dealt with without delay. We monitor all our operations using state of the art technology that includes GPS tracking and a dial in job tracker that updates our systems in real time, directly from the homes we are working on. We believe in full traceability. Easy Choice Property Management have a state of the art software system that was designed by the owners of the company and is constantly being improved and updated to provide the best possible service to our home owners. Our newest tool, the automated work order system, offers owners more piece of mind by being e-mailed as soon as a maintenance request for your home has been requested on our system. Our experienced property management and customer service agents input the request on the system and you are e-mailed in real-time informing you of the request to our maintenance team, our maintenance team then action the work to ensure that your home is maintained to the highest possible standard for you and your guests. We offer a Welcome Pack service for all your guests, which will be waiting for them in your vacation home upon arrival. This enables them to start their holiday in Florida the best possible way, enjoying much needed refreshments or snacks without having to go shopping as soon as they arrive. Your guests can order this through you and pay you the owner or pay us locally. Welcome pack prices start at $90.00 for a standard pack or we can offer premier packs and talior-made packs. Please contact us for details. For those special occasions we can offer your guest the facility to arrange chocolates, flowers and champagne for there loved one's or family members. We are pleased to decorate for brithdays, anniversaries, and other special occassions. We even offer decoration packages for the holidays! Feel free to ask for more details. What exactly does your company do for my monthly fee? We are on call in case of emergency 24 hours a day 7 days a week. Your guests can pick up the phone if they have an emergency and will be there to react to any emergency situation. Our management fee also covers marketing of your property, on our website and other high traffic websites. We also check your home once a week if there are no guests in to ensure everything is ok, giving our owners piece of mind. The management fee also covers us reporting your Sales and Tourist Tax and paying your utilities. We currently manage around 90 Vacation Homes, we carefully structure our company and only increase the number of homes we manage when we have the right people and procedures in place, to ensure our service is personal and professional. All owners speak directly with the owner of the company on all issues who personally oversee that all aspects of your property care is taken care of. We started our business in 2006 and have grown through word of mouth, thanks to our hard work and high standards you are reading this page and considering us to be your dedicated Property Management Team. We are fully Licensed and we will gladly provide documentation on request. Do you re-new our state & local licenses each year and send us a copy of the certificates? Yes we take care of all your licensing needs and send you copies if you require them. Are you always contactable during office hours? Here at Easy Choice we pride ourselves on first class communication. For your convenience and the convenience of our guests there are a number of ways to contact us; Our office number in Davenport, Florida is (+1) 863 424 2400, US Office Fax no, (+1) 863 424 1380 and e-mail; info@easychoicefl.com You can always be assured of a prompt reply when using any of these contact methods. We will not keep you waiting for an answer, we realise your a long way from your home and you rely on us to be your eyes and ears. How many people would be looking after my property and will it always be the same people? Easy Choice have a dedicated Quality Control Department, Reservations and customer service team and managment structure who work together to form a great team of people who will be responsible for the care of your home. The managers of the company will regularly visit your home to personally oversee the cleaning and care of the house. Your Orlando Vacation Home will have its own dedicated cleaning team who will be familiar with the home. On completion of the clean our house keeping Manager and one of the owners of the company will visit it and do a final inspection to ensure it is perfect for the next arrival. Your Management team then inspects the property for the next arrival. Our company is based on a “ personal touch” service and to enable us to do this we must be familiar with your home and communicate well with our owners. What does your Pool Care cover? An important part of a family’s vacation is the pool area. If you own a villa with a pool part of our service is to take care of this for you. The cost covers a weekly visit to clean, check chemical levels, check safety and clean the lanai area. We have fully licensed pool technicians to do this for us to ensure the highest standards are maintained. There is nothing better than seeing a nice clear blue swimming when you arrive at your vacation home. In helping me maintain my home while I am not physically there, what will cost me extra money (workwise)? Like any home, especially a vacation home, there may be times when maintenance is required, due to many factors. Though these cannot be predicted, we will not carry out any work over $100 without first providing a notification and receiving your said approval. What commission do you take for bookings? Commission rate 10%-15% . Only on bookings we obtain for you. We do not charge you any fees for bookings you have obtained yourselves. We encourage owners to be pro-active in obtaining bookings, and we are confident, working as a team, we can achieve the desired results. How do we know if you have obtained a booking for us? A helpful and unique feature from our website enables owners to be informed in Real-Time of any bookings your home receives. Our state of the art system enables you to be kept up-to-date on all bookings going into your home by receiving an e-mail with the dates and the value of the booking as soon as the booking has been confirmed. You can also log-in to our system and add your own bookings. Do you pay our bills? Is there a fee for that? We recommend you pay your own utilities so that you have more control of your own finances and can see where there are surges in use, however we do offer this service for all our owners if it is required. There is no extra cost. What type of escrow account do I need to keep with you for billing/and/or/ extra services I may need? If we pay your utilities we ask you to keep a balance of $1000.00, if you pay your own utilities and Escrow Balance is not necessary. Do you provide maid service / Mid stay clean if the guests need it? We do offer mid stay cleans for all our Orlando Vacation Homes at the same price as a regular clean. Do you promote my property for bookings? If so, will you contact me as I should contact you to verify that the dates are open ? We are very proactive for bookings on all our Orlando Vacation Homes and Rentals and we have a great admin system on our website. Our owner can log-in and see there bookings at anytime. When we receive bookings for our owners, as soon as we press the confirm booking you will receive an e-mail in real-time informing you of the arrival and departure date as well as the cost of the booking. You can also add your own bookings on and it will send an automatic notification via e-mail to us. Do you as the management company provide anything for the our guests such as starter soaps, and trash bags etc? Is that an extra charge? For each arrival we leave starter soaps, a trash bag in each trash bin, a full toilet roll in each bathroom and a dishwasher table free of charge. Do you offer "Welcome Packs" for guests? We offer several options for welcome packs, everything from the basic pack at $35.00 to tailor made packs including packs for special occasions. Do you rent items that the home may not have such as a grill or high chair? Yes if your guests require something extra we will do our very best to accommodate and we currently rent out; Cribs, High Chairs, Gas BBq’s, Playstation’s, DVD Players and much more. Do you do airport meet and greets and drive them to the home if needed? Yes we can arrange a meet and greet to take your guests to your Orlando Vacation Home from both Orlando International and Sanford Airport, please ask for price details. Easy Choice Property Management pride ourselves on total transparency, allowing our owners to be able to add their own bookings, view their property calendars, view statements and print them off for accountancy requirements and generally be well informed of what is going on in your home using the internet and our state of the art owner interface system. 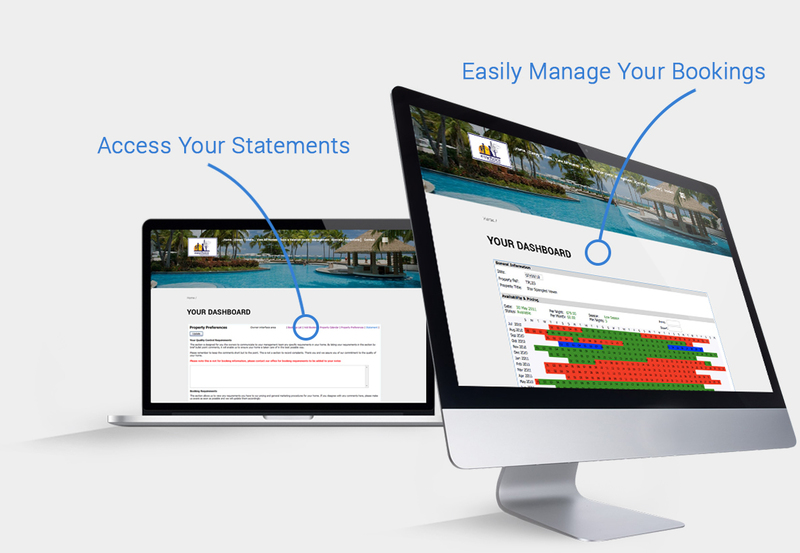 You can access these details from anywhere you have internet connection via our website www.easychoicefl.com and using the unique log-in details we provide you with when joining our property management program. Easy Choice Property Management have a state of the art software system that was designed by the owners of the company and is constantly being improved and updated to provide the best possible service to our home owners. Our newest tool, the automated work order system, offers owners more piece of mind by being e-mailed as soon as a maintenance request for your home has been requested on our system. Our experienced property management and customer service agents input the request on the system and you are e-mailed in real-time informing you of the request to our maintenance team, our maintenance team then action the work to ensure that your home is maintained to the highest possible standard for you and your guests. Our phone in tracker and GPS system allows us to track real time progress of all maintenance work carried out by the Easy Choice Team. This ensures we are not only efficient, but cost effective too. Want a before and after photo of the work carried out? You got it! Want a different type of management? Just ask. work required, before it is done! We are happy to provide the contact details of many of our satisfied homeowners. "The Easy Choice Property Management team have provided excellent, professional and timely service. The team attention to detail and knowledge of the rental market in the Disney area Florida has made Easy choice Vacation Homes a key asset to the success of our rental. From our experience we strongly recommend Easy Choice to anyone considering a great property management company, as they will be assured of honest, Trustworthy and courteous service at all times. As always delivered with a smile!!" "We have been using Easy Choice Property Management for 4 years now and find that they are a terrific company dedicated to making a great vacation for their clients as well as taking care of the homeowners who rent their homes to people from all over the world. They run a first class program and it is a pleasure to be associated with them. Their attention to detail is top rate and never compromised. It is a pleasure to work with them"
"As overseas owners who wanted to offer top quality homes in the Disney area it was important to us to find a company who could help us to offer the very high standards and services that we would expect if we were to visit the area ourselves. We have been absolutely delighted by the work that Easy Choice have done for us and by the commitment that all the staff have in looking after our homes and our investments and also in looking after the needs of our guests"
At Easy Choice Property Management, we're committed to protecting and respecting your privacy. We obtain information about you when you use our website, for example, when you contact us about reservations or property management, to make a booking or payment, save your favorite properties or if you register to receive our free newsletters. The personal information we collect might include your name, address, email address, IP address, and information regarding what pages are accessed and when. If you make a booking online, your card information is not held by us, it is collected by our third party payment processors, who specialise in the secure online capture and processing of credit/debit card transactions, as explained below. Third Party Service Providers working on our behalf: We may pass your information to our third party service providers, agents subcontractors and other associated organisations for the purposes of completing tasks and providing services to you on our behalf (for example to process payments, deliver property services and send you mailings). However, when we use third party service providers, we disclose only the personal information that is necessary to deliver the service and we have a contract in place that requires them to keep your information secure and not to use it for their own direct marketing purposes. Please be reassured that we will not release your information to third parties beyond the Easy Choice Property Management Network for them to use for their own direct marketing purposes, unless you have requested us to do so, or we are required to do so by law, for example, by a court order or for the purposes of prevention of fraud or other crime. When you are using our secure online booking pages, your payment is processed by a third party payment processor, who specialises in the secure online capture and processing of credit/debit card transactions. If you have any questions regarding secure transactions, please contact us. We will not contact you for marketing purposes by email, phone or text message unless you have given your prior consent. We will not contact you for marketing purposes by post if you have indicated that you do not wish to be contacted. You can change your marketing preferences at any time by contacting us by email: reservations@easychoicefl.com or telephone on (321) 401-4215. The accuracy of your information is important to us. We're working on ways to make it easier for you to review and correct the information that we hold about you. In the meantime, if you change email address, or any of the other information we hold is inaccurate or out of date, please email us at: reservations@easychoicefl.com, or write to us at: Easy Choice Property Management, 7559 Osceola Polk Line Road, Davenport, Florida, 33896. Alternatively, you can telephone (321) 401-4215. You have the right to ask for a copy of the information Easy Choice Property Management hold about you. When you give us personal information, we take steps to ensure that it's treated securely. Any sensitive information (such as credit or debit card details) is encrypted and protected with the following software 128 Bit encryption on SSL / TLS 1.2. When you are on a secure page, a lock icon will appear on the top or bottom of web browsers such as Microsoft Internet Explorer. We may analyse your personal information to create a profile of your interests and preferences so that we can contact you with information relevant to you. We may also use your personal information to detect and reduce fraud and credit risk. We'd love to send you future newsletters and the latest information from Easy Choice Vacation Homes by email. We'll always treat your personal details with care and will never sell your information to other companies for marketing purposes. Yes please, I'd like to receive information from Easy Choice Vacation Homes. No thanks, I don't want to receive information from Easy Choice Vacation Homes. The Easy Choice team is excited to announce our partnership with Walt Disney World®. Being approved by Walt Disney World® gives us official Disney Ticket Seller status which enables us to provide an all in one experience for your guests. Guests and owners alike can book their reservation and purchase Disney World attraction tickets at our one-stop-shop. Equally as important, our approval by Walt Disney World® gives you added assurances. Because we have this rating, you know that Disney have worked with us as part of their unique and top quality program. Your guests know before they book that they are working with a company that is Disney approved. Because we are a part of this dedicated scheme, it provides peace of mind, confirming that we will work to the highest of standards in all that we do. As well as making us an authorized source for buying Disney tickets and for locating information about the Disney Theme Parks, this also gives added benefits. Walt Disney World® Pool Rules signs are added to each pool home plus Easy Choice advertisements are featured on the Walt Disney World® marketing material. Additional information for your incoming guests about new attractions and events at the Disney properties is included in each welcome packet. This additional exposure places Easy Choice's name on an even higher competitive scale which allows all of our homes to be seen by even more guests in the Central Florida area. 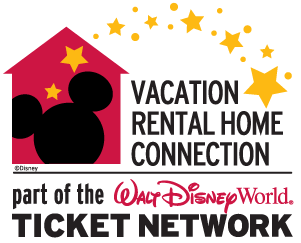 Walt Disney World® provides high standards for each of the homes that their preferred ticket sellers manage. Bi-monthly inspections are performed on homes to ensure that they are enabling guests to see what the Disney Dream is all about. Easy Choice's Quality Control team is there every step of the way to ensure the homes not only meet our standards but those of Walt Disney World® as well. They ensure that our guests are not just welcomed to a vacation home, but to Your Magical Home! Guests will also know that all of the Disney Approved Homes are within a short distance of all the attractions, enabling them to make the best use of them. So next time you or your guests are coming to visit Central Florida, do not forget to contact us for your attraction tickets. Take advantage of our discounts and avoid the long lines at the parks! Enjoy the Walt Disney World® experience with us!